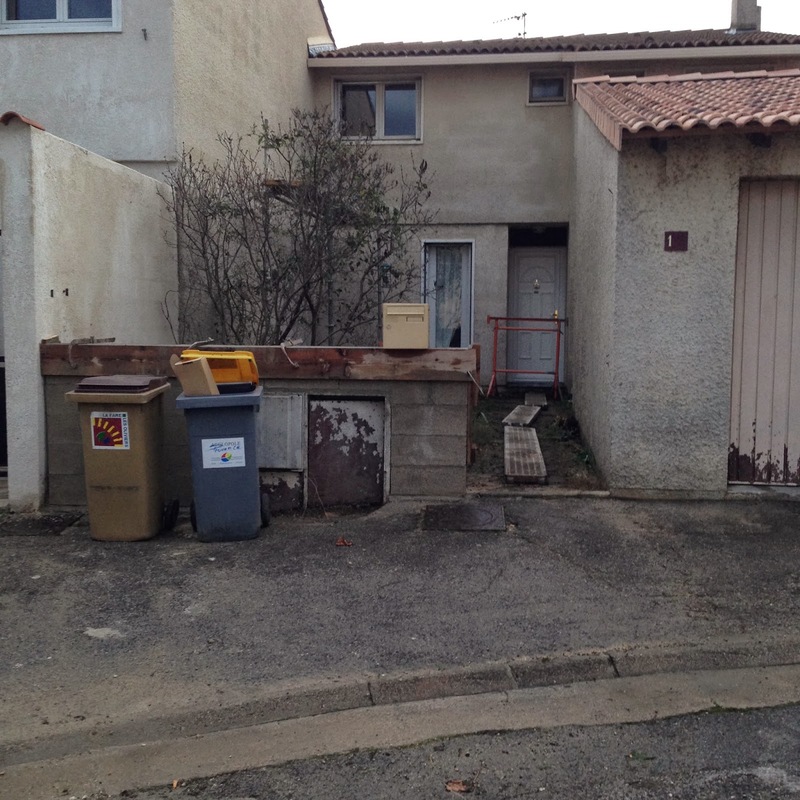 Au Fil du Jardin: Renovation started! And how it is tonight. Yesterday was just gray, with no wind. Today has been another story.It has been pouring all morning. And more rain is expected for the rest of the week. So I'm very glad they could clean the existing walls yesterday, and build the new one today. You may notice that the front door is blocked. Because of that.I'm not allowed to step on it until tomorrow afternoon. As I said, it has been pouring. Had the light on all day. Making this beauty even more enjoyable. That is the first time I see 4 stems from the same bulb... I saw it with another kind of amaryllis, a first with the regular one. Can't wait to see the finished project. I love the color of your amarylis. It is unusual to see 4 stems coming from one bulb. I bet you can divide the bulb that many times when it is finished blooming. haha! forced vacation :) it's going to look great. Wonderful start, Vero! And congrats on that beautiful amaryllis. I've never had one rebloom, so I have given up on them. 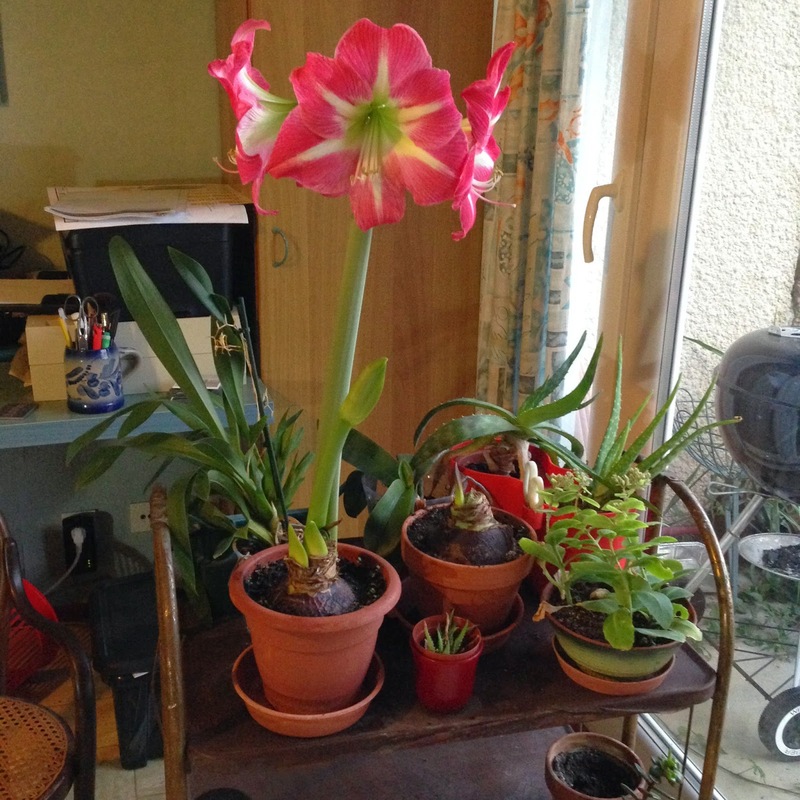 Liebe Vero, ich hoffe, die Amaryllis blüht immer noch soooo schön zu Deinem Ehrentag. Ich wünsche Dir alles alles gute, melde mich bald schriftlich bei Dir!! !